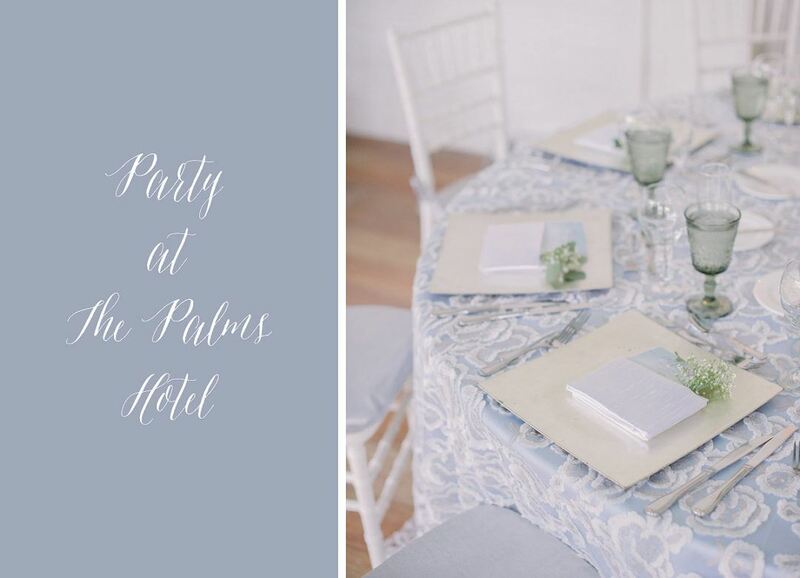 For the couple with modern style, we love our Ocean Watercolor Brush linen. It’s stripe pattern gives that nice uniform look while the soft edges, inspired by watercolor designs, are nice and calming. 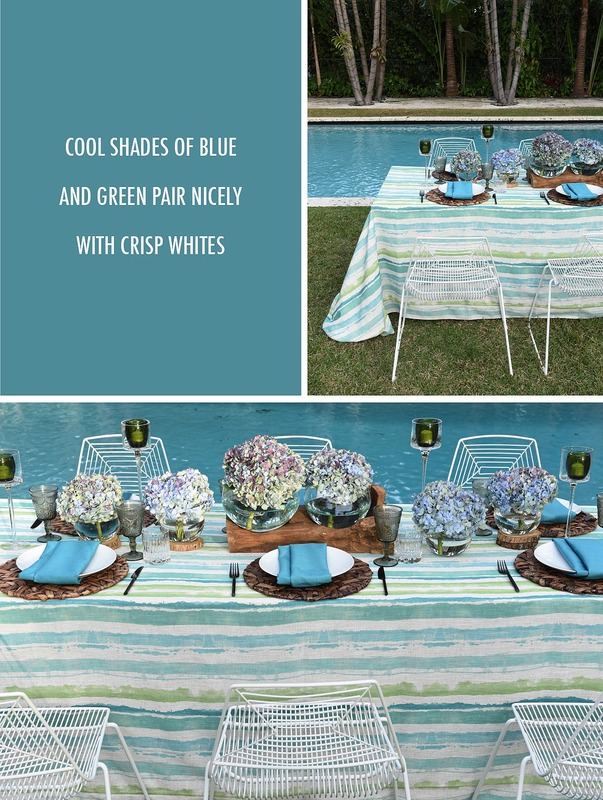 Cool shades of blue and green pair nicely with crisp whites and clear glass decor. We’re also absolutely in love with our Soho Chairs to give the look a sleek edge. 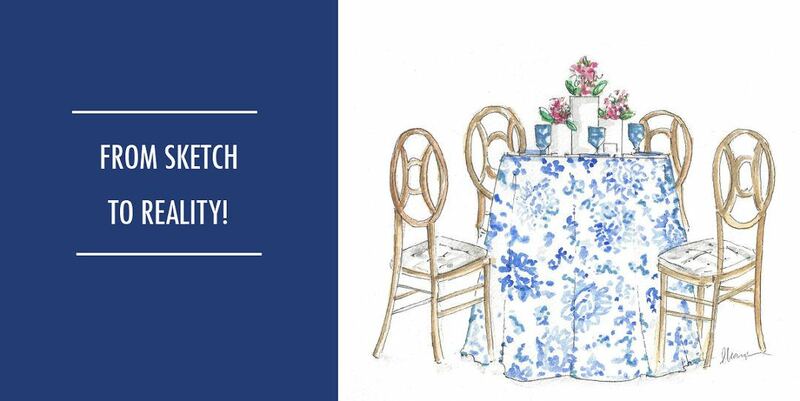 If they got married in a barn, opt for delicate prints like our Royal Delft. 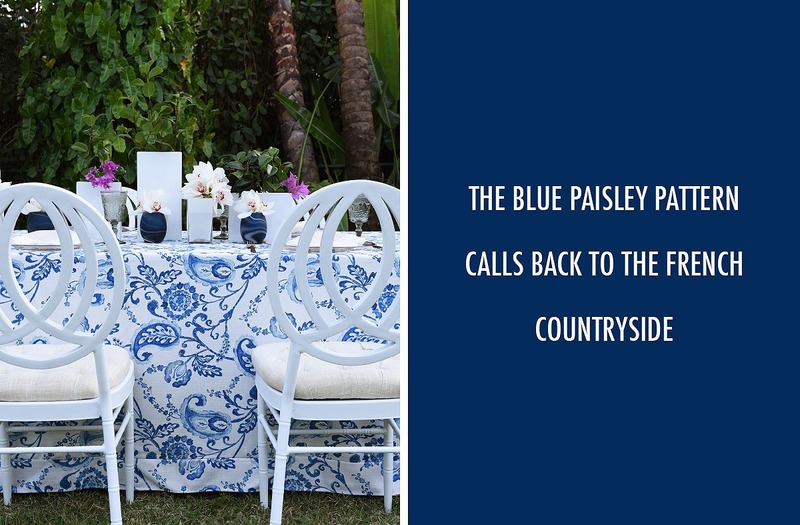 The blue paisley pattern calls back to the French countryside in a color palette reminiscent of toile. Pair it with our White Phoenix chair which nicely imitates the sweeping curves of the print. And for that just right pop of color, we love a touch of bright fuchsia flowers! When the wedding reminded you of Morocco, go for our Cobalt Marrakesh. 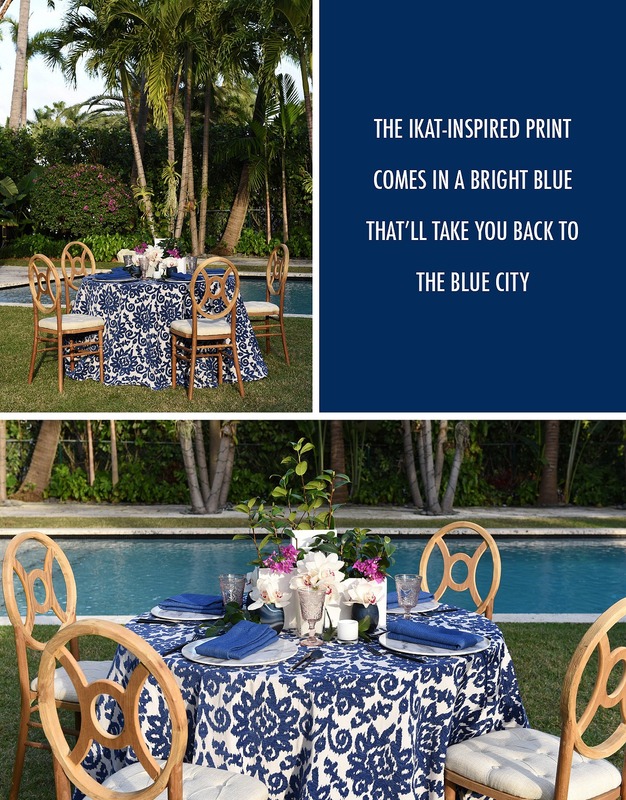 The ikat-inspired print comes in a bright blue that’ll take you back to the Blue City. Keep things boho-chic with our Natural Wood Verona Chair, our elevated take on a classic style. 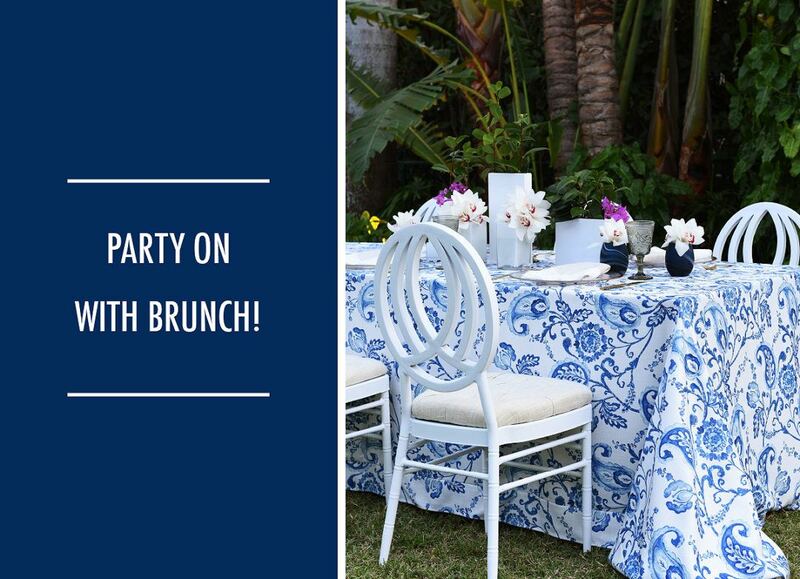 Bring in vintage glassware with beautiful designs and pair with even more shades of cobalt blue, we guarantee guests will feel transported! If brunching even more often is your goal, check out our guide to dining al fresco. It’s a perfect primer for enjoying the outdoors this spring! Just setting foot in the outdoor ceremony space was enough for us to say “I do!” Walking through delicately hung drapes down a petal-strewn aisle, the bride and groom said their vows at the most picture-perfect white gazebo. Add to that beautiful organic floral decor and set it against palm trees swaying in the wind and we can see why anyone would want to get married here. From the ceremony, guests headed poolside for cocktails to kick off the celebration. From catching the breeze at a high top to taking a seat under the oversized tiki-hut, everyone was getting in the mood under twinkling string lights. 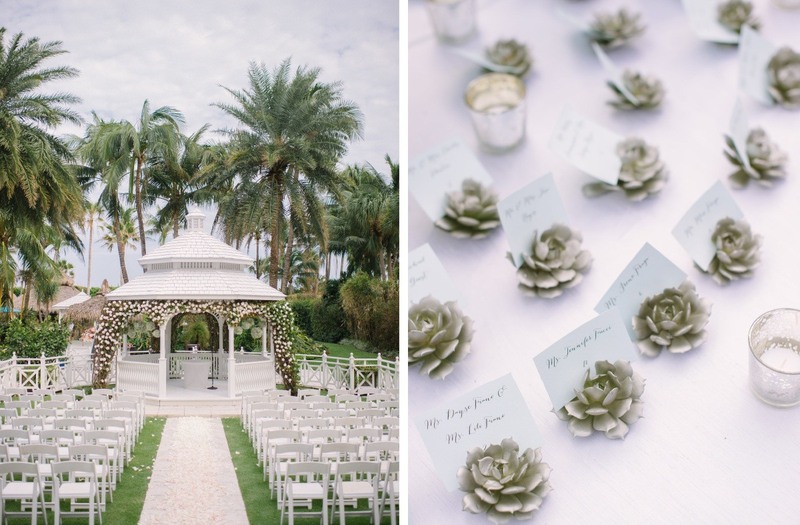 Once it was time for the reception, everyone made their way to a covered outdoor space where the tables dressed in shimmering shades of silver. 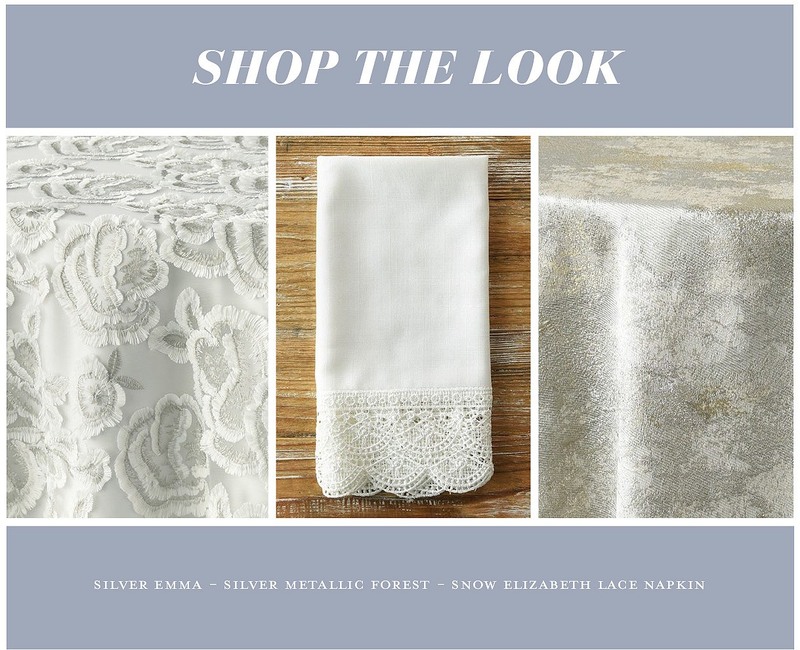 Guests found their seats at our Silver Metallic Forest and Silver Emma linens while the newlyweds took their seat at a sweetheart table donning our Moonlight Magnolia. Lovely floral arrangements in assorted heights from Julia Rohde Designs adorned the tables with an incredible floral runner saved for the bride and groom’s table. We love how the palette of fresh greens and crisp whites gave the space a modern and inviting feel. 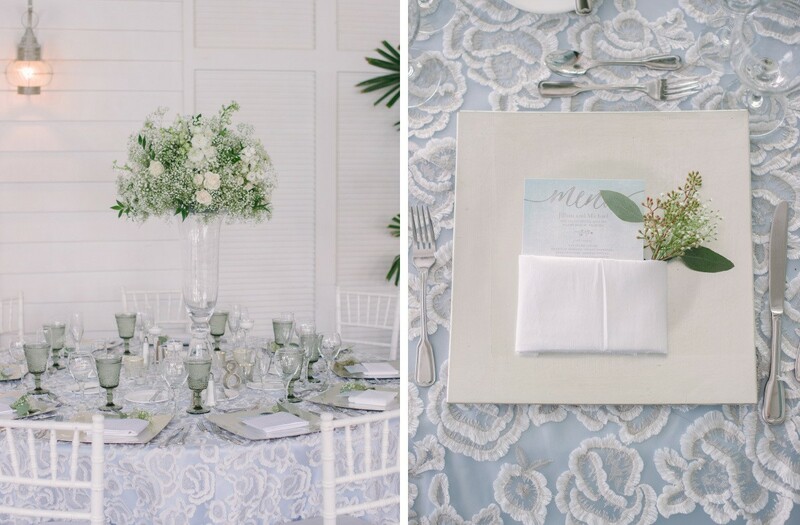 The look and feel of this celebration was just right for an intimate wedding in Miami! 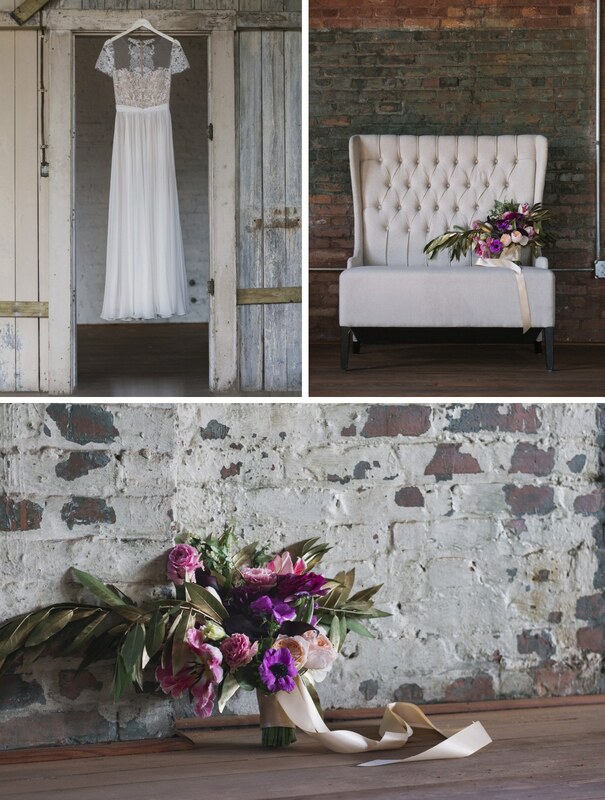 Lucky for us, Katie Lopez Photography was there to capture every sweet detail. Anyone else feeling inspired to book a trip to South Beach? Cue Mary Phan, founder and artist at The Sketchbook Series. Mary launched The Sketchbook Series to inspire and guide creatives on their journey towards turning their ideas into realities, leveraging sketching as a tool to aid communication through the design process. We’ve both attended and sponsored many an event with The Sketchbook Series and are always reminded what an asset it is to have this skill. 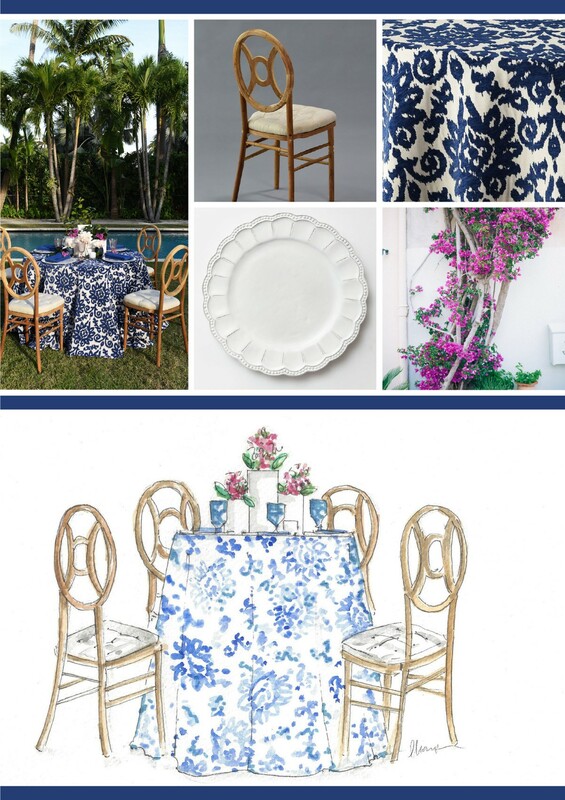 We had thoughts of Bougainvillea and bright blue ikat print on the mind. 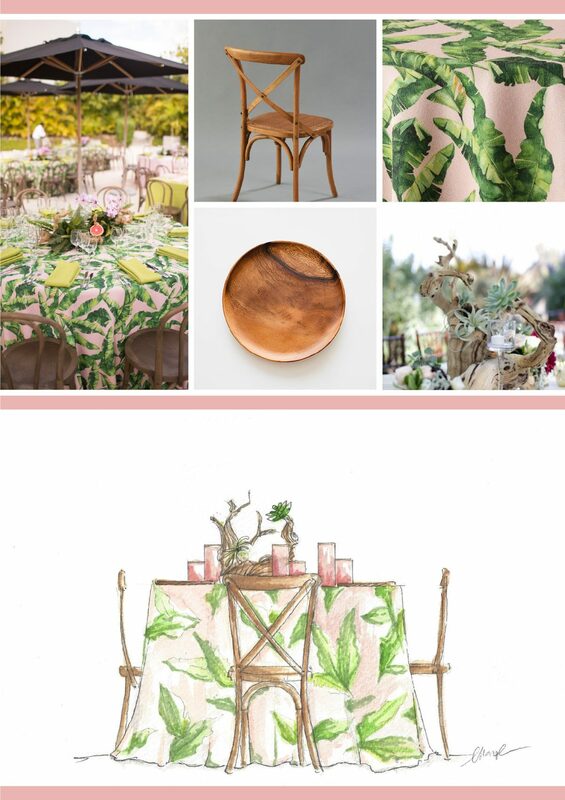 Mary combined our Cobalt Marrakesh and Natural Wood Verona Chair with table top pieces from Casa de Perrin and floral inspiration shot by Lucy Cuneo to sketch up this tablescape. Just right for an al fresco lunch! 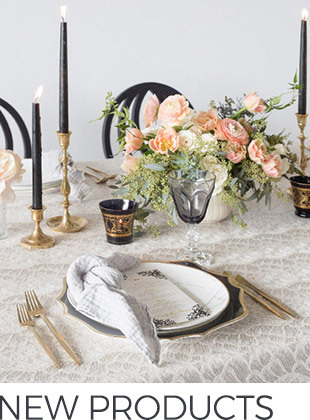 A graphic black and white palette accented with gold details was just the thing we had in mind. 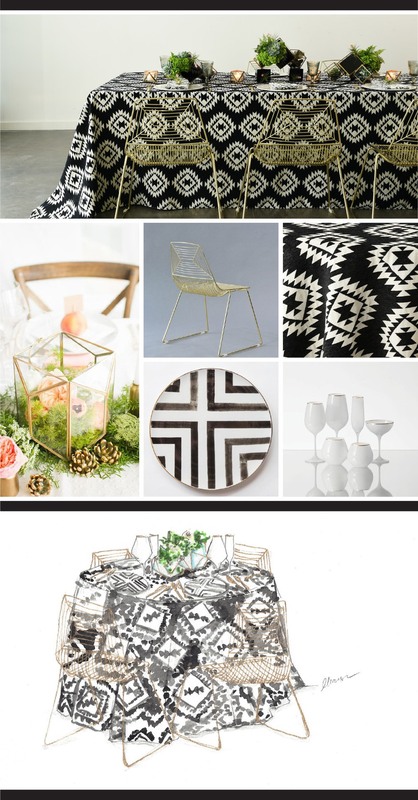 Mary set the table with our Black Sedona and Gold Soho Chairs and paired it with black and white pieces from Casa de Perrin, really amplifying the bold geometric effect. 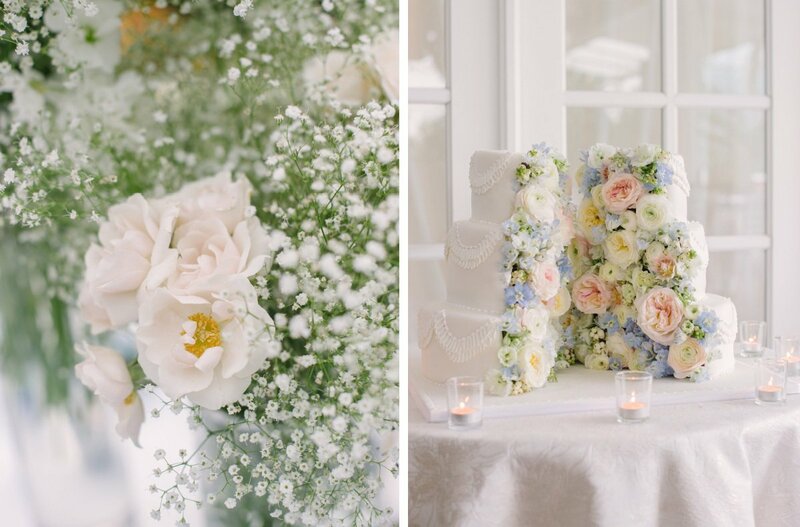 To soften the look, she took inspiration from a mossy terrarium arrangement by Kelly Elissa Events & Enchantment Floral. 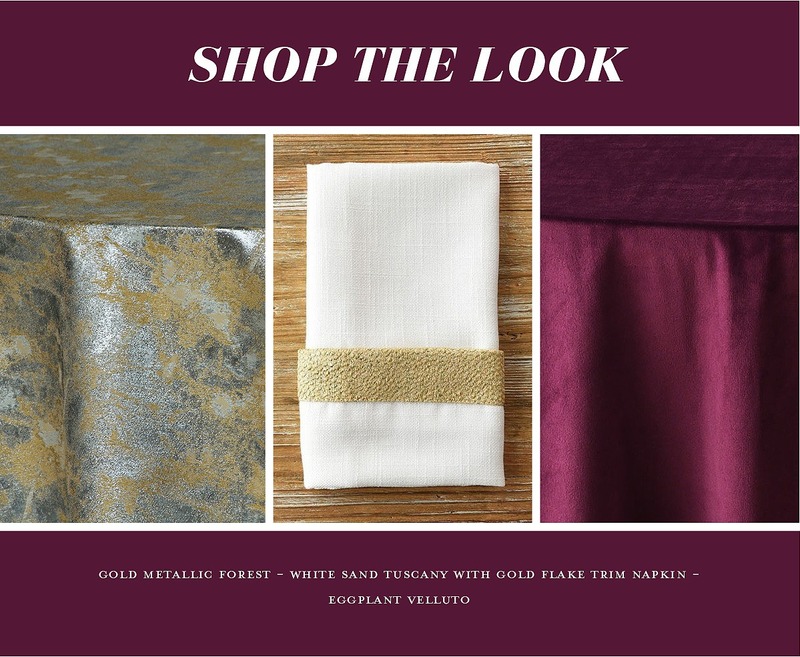 At heart, we’re really somewhere between being in love with a laid-back bohemian look to the opposite and going for all glitzy and luxe, who can truly decide? 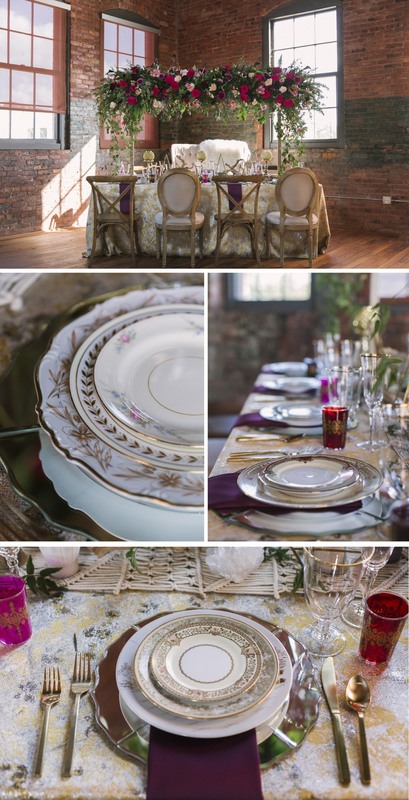 Well, when MMD Events put together this styled shoot, a blend of boho cool with the perfect touch of gilded accents, we were beside ourselves! Scroll through to see just how everything came together. Armature Works Tampa set the tone with their industrial style loft. Exposed brick, beautifully framed windows and endless natural light flooded the room giving it an inviting feel. The tablescape, set with a hanging arrangement of flowers running the length of the table by MMD Events, created a beautiful illusion against the impossibly tall ceilings of the venue. 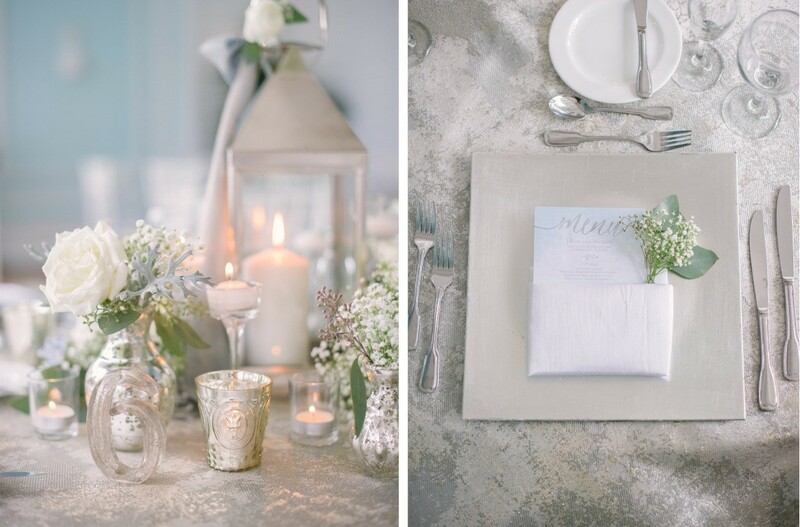 We love how this table was set! 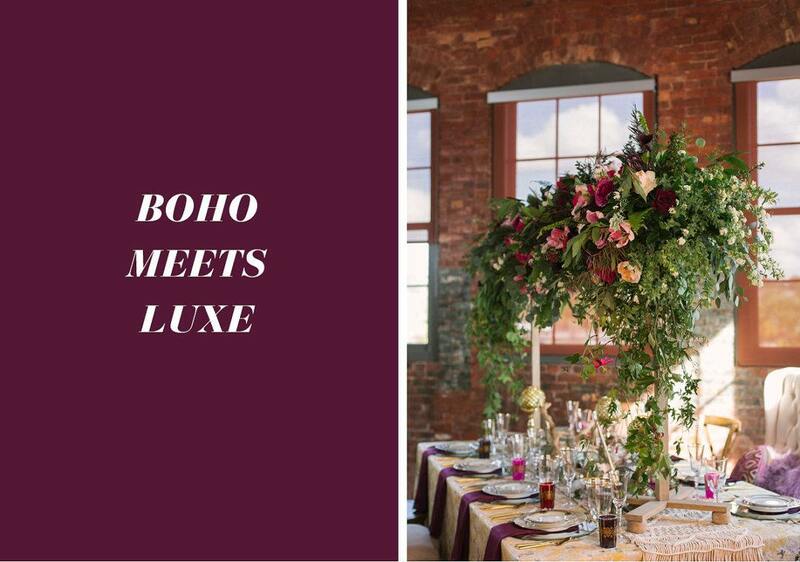 Our Gold Metallic Forest created the canvas for the setting which was highlighted with shades of plum, fuchsia and red. MMD Events combined assorted vintage china with mirrored chargers and Moroccan-inspired colored glassware for a chic look. 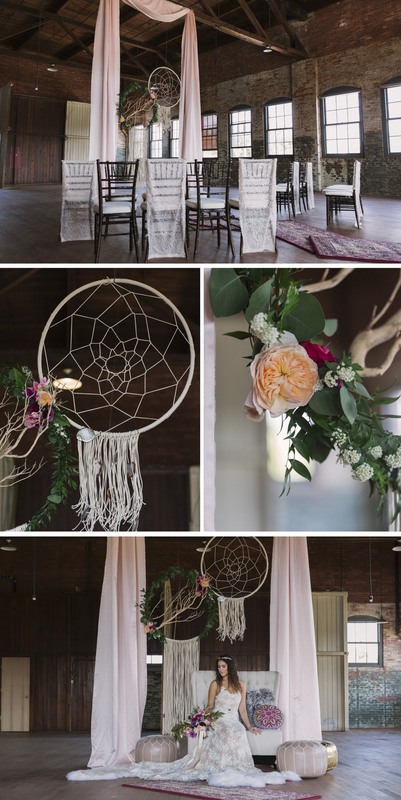 The gorgeous hanging florals draped beautifully over the center of the table, hanging above a macrame runner decorated with an eclectic assortment of driftwood, crystals and gold geometric decor. Just look at those votive candles in mercury glass encased by delicate geometric shapes! 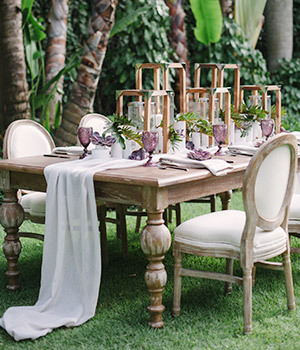 Tying everything together was the chair selection, a mix of French-style upholsted pieces from MMD Events’ collection. We adore a mix and match seating look so you can imagine we were over the moon to see high back chairs mixed in with wooden crossback chairs and plush upholstered seating. Bonus points for that luxurious sheepskin throw! Anyone else ready to take a seat at this table?